Let’s stand By This River with a Lantern and hear what happens. A most heavenly sounding female voice start to sing in our minds with lovely mysterious strings that warm our hearts like a pair of thick gloves around our hands in winter time. What is this magic that is happening over here? Where is this beautiful music coming from and this voice, this most beautiful angel-like voice? I gaze in to the lantern for answered as more pretty music glows out. but the sincere piano keys, the loving played keyboard and the mesmerizing guitar strings that seem to provide a wonderful light upon the river surface, is just as amazing as the voice that so mysteriously came out of nothing. Together providing a n atmospheric relief of angelic delights. 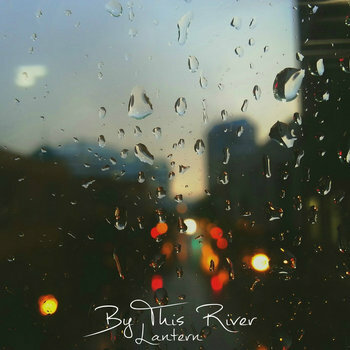 I could stand forever By This River with this Lantern if it means to hear more of this wonderful pretty music. This entry was posted in acoustic, ambient, chill out, classical, folk and tagged Atmospheric, classical, contemporary, ethereal, Guitar, orchestral, piano. Bookmark the permalink.